Nearly 400 people responded, listing their top three cameras – and some 270 different cameras made the longlist. 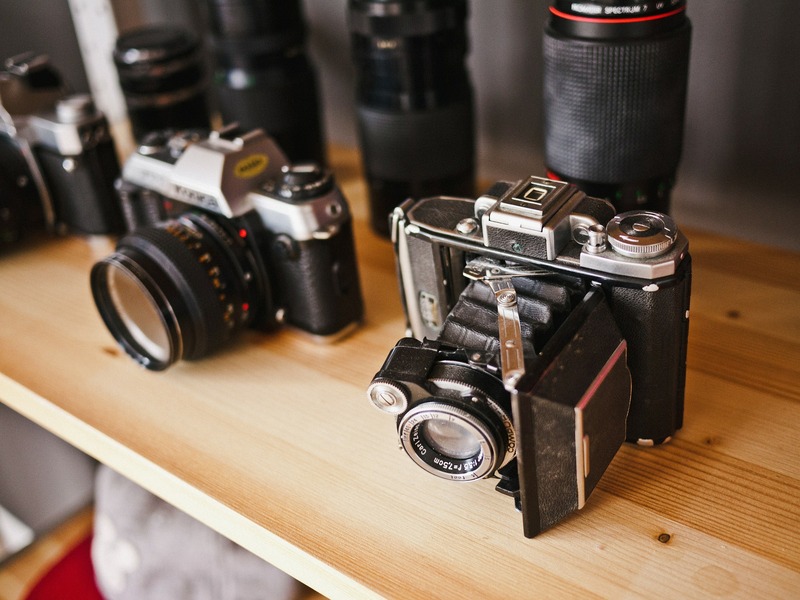 I’ve already counted down the cameras that made the Top 50 right down to number 11 – including such classic designs as the Leica III, the Canon F-1, the Nikon F00 and the Pentax Spotmatic. Now’s the time to find out which cameras made the Top 10. Many thanks to everyone who took the time to send their picks. It was an interesting project, and could be something Kosmo Foto revisits again in a year or two. Released in 1976, the Canon AE-1 – a manual camera with the added benefit of shutter priority – was an almost instantaneous hit. Some 40 years later, this camera is still ridiculously popular. Mounting Canon’s fantastic FD range of lenses, and built to take knock after knock, the AE-1 was popular with students and enthusiasts who couldn’t afford the more top-of-the-line A-1s and F-1s. The AE-1 needs batteries to function – there are no manual shutter speeds to fall back on if the batteries die out – but takes the ubiquitous LR44 button cells available almost everywhere. I’ve noticed lots of younger film shooters in London and Europe using the AE-1, and Flickr and Reddit’s Analog subreddit are full of AE-1 pics. This looks like being a classic to use for some time. The XA is an extraordinary camera. There are many compact cameras that pack a surprising portfolio of features into a small housing, but few of them can compete with the XA. Released in 1979, the XA is a rangefinder camera that fits in the palm of your hand (or your front pocket). It boasts an incredibly sharp 35/2.8 lens and a range of features – bleeping battery check, 1.5 stops overcompensation for backlit pictures – that you would normally only expect on much bigger cameras. The XA is still incredibly popular with street photographers, thanks to its almost silent operation (no reflex mirror to create a loud slap) and its superb Zuiko lens. Prices are rising, too, as the XA’s reputation reaches a new generation. If you’ve got big hands though, this miniature might not be for you. A generation of press photographers kept a Nikon FM in the camera bag, just in case. If it was too cold, or the batteries for the power-hungry F4s or F5s died out, the FM2 could still soldier on. The only battery power the FM2 needs is to power the meter – and take it from a photographer who has used an FM2 for the last 15 years; they last a very long time indeed. 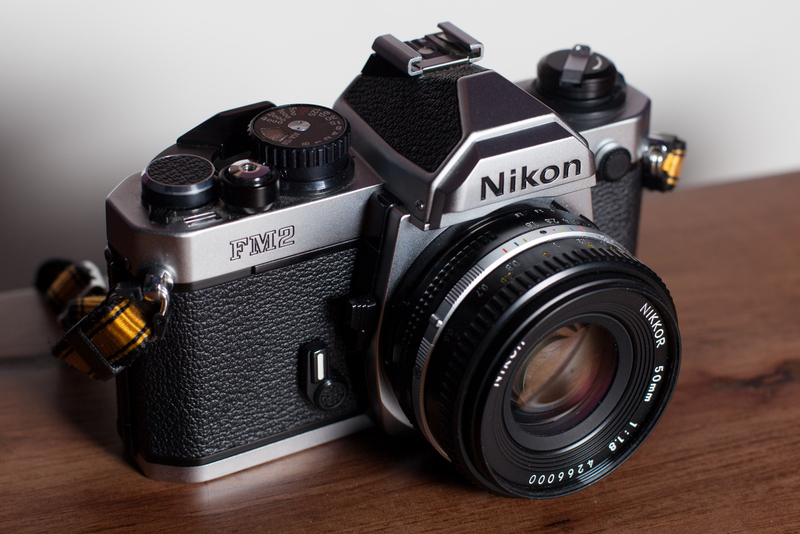 The FM2 is an updated version of the Nikon FM, which came out in the 1970s. The FM2, which was released in 1982, was designed for enthusiasts and pros and was built to last. It has a fastest shutter speed of 1/4000 and has a refined feel – the wind-on is like clockwork, and the shutter fires with a pleasing ‘clack’. The shutter is all-manual – you can use any speed if the batteries run out. It’s pleasing to see this camera do so well in the survey. This would be my number one recommendation for someone wanting to buy an all-manual SLR. 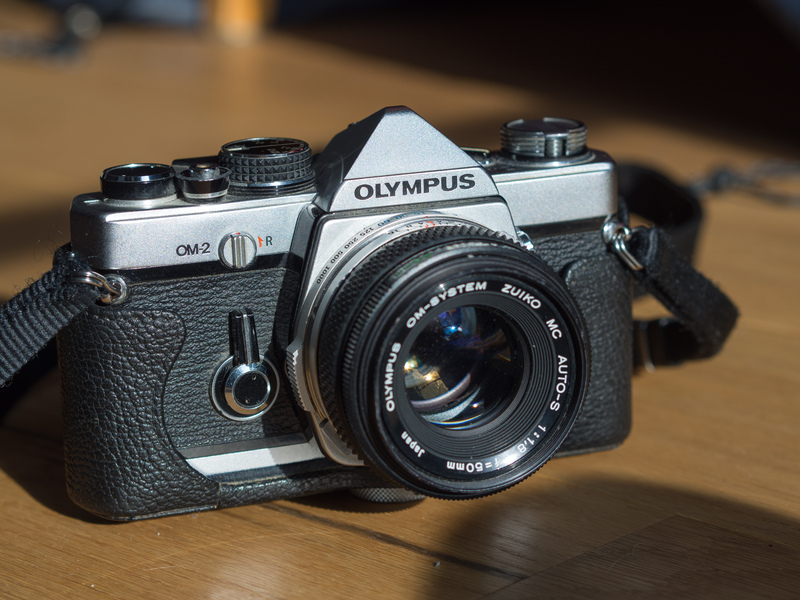 The Olympus OM-1 might have launched Olympus’s OM family, but the OM-2 is arguably the camera that really made this marque famous. Released in 1975, the OM-2 updated the all-manual operation of the OM-1 with aperture-priority automation. Like many cameras from this age, the camera won’t work unless it has batteries in it, and these can drain very quickly indeed if the camera isn’t put in the ‘OFF’ mode when not being used. The OM-2 is small and light, and has a very practical metering system which meters directly off the film plane, meaning exposures are very accurate indeed. This camera has its excellent reputation for a reason – if you want a smaller, lighter SLR that can still withstand the rigours of the world, this is a great choice. For many photographers, this camera is the holy grail – the kind of thing they scrimp and save for for months if not years to get their hands on. You can begin to understand the cult when you pick one up. The M6 is a beautiful object, featuring few frills. It was one of the first Leica rangefinders to come with a lightmeter built in, allowing the photographer to meter and focus within the viewfinder. Add the Leica quick-load system (which is very effective) and the small matter of the Carl Zeiss lenses built for Leica’s M-range and you have quite the package. The M6 has been a favourite of press and reportage photographers since the 1980s, who appreciated its ease of use, almost-silent operation and resilience. If you can afford one of these, do yourself a favour. The camera which single-handedly changed the reputation of Olympus’s cameras; before the OM-1, they were largely regarded as low-spec, cameras used by amateurs on their holidays. The OM-1 changed all this. In what was probably the smallest SLR body of the time, Olympus managed to pack all sorts of features into a tiny body – it even used an air-damper to reduce the amount of noise. The OM-1 doesn’t share the auto-aperture bells and whistles of its successor the OM-2; it’s an all-manual camera, so you choose the aperture and shutter speeds yourself. Need further inspiration? England’s famed portrait photographer Jane Bown – who shot for the Sunday paper The Observer for more than 60 years – was a devotee of the OM-1, using them well into her 80s. There’s no higher praise. Think of war photography and you think of the tough and reliable Nikon F – and the Leica M3. 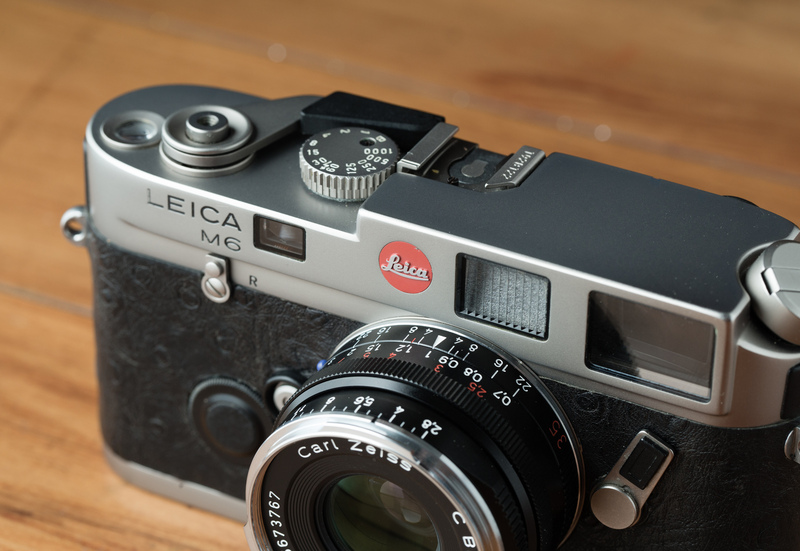 The M3 was released in 1954, and introduced a number of features to Leica’s rangefinder family – not least, the M-mount lens system, which is still in use today. It’s a lot easier to use than the earlier screw-mount Leicas thanks it its film advance lever (like film SLRS) and a huge, bright viewfinder. Leica built more than 220,000 of these, and they’re still highly shootable today, as long as you don’t mind being without a lightmeter. The replacement for Nikon’s fantastic Nikon F, the Nikon F2 is an all-manual SLR that was aimed at professionals on its launch in 1971. Like the FM2 and the FM, this is a camera that only needs a battery to power its metering – otherwise, it’s pure mechanics that keep this shooting. 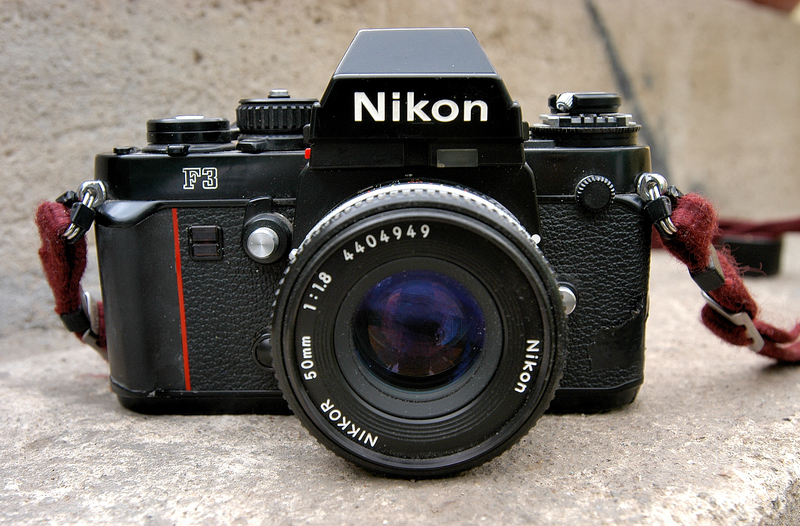 The F2 earned a fantastic reputation for toughness and reliability until it was replaced by Nikon in 1980 when it released the F3. But there are a multitude of F2s still in working condition today – and you can expect to get decades more use out of them. The camera that went to the Moon – and brought back the iconic photos of the lunar surface and the handful of men who have walked upon it. The Hasselblad 500 is the ultimate medium format camera, a simple-enough box-style SLR couple with exquisitely made Carl Zeiss lenses with built-in leaf shutters. They were hugely popular with studio photographers and landscape shooters, though you could argue that there’s not much this camera can’t do (shoot of high-speed sports photography). Light – especially compared to monsters like the Pentax 6×7 – but very robust, the Hasselblad 500 was introduced in 1957 and was in production for nearly 50 years. It’s the first system camera – the prism, lens, film back, focusing screens can all be removed and replaced. It’s an incredibly reliable, and versatile, camera. I thought the F3 would do well, but was shocked that it beat the Leica M3, Olympus OM-1 and Hasselblad 500 all the way to number one. Released in 1980, the Nikon F3 is a system-style manual focus SLR that was fairly and squarely aimed at pro photographers – the camera had a range of prisms and focusing screens, and a bulky motordrive that could keep the shutter tripping again and again. I know press photographers who used these beasts for 25 years and still can’t bear to get rid of them. The F3 has an aperture-priority mode, and has an electronically controlled shutter. It can use any manual focus Nikon Lens made since 1959, and many of the lenses built for digital cameras, too. It features Nikon’s superb centre-weighted metering system, which is an integral strength in Nikon’s SLR family. This won’t be for you if you want autofocus or something small (the F3 is big and heavy) but bear in mind the F3 only went out of production in 2001 – after 750,000 had been made. What are your favourites from the Top 50? What other cameras would have made your favourite? Let us know in the comments form below. Hasselblad 500C. Can make great images with ample film size. Easy to use. Lots accessories and great lenses. Then there is the sound of making an exposure: clap- click followed by the sound of the manual mirror return, cocking the shutter and film advance. I have pushed the shutter release button just to hear the sound. Music to my ears. Minor quibble. The Canon AE-1 does not take LR44 button cell batteries, it takes a PX28 AKA A544 battery which is essentially a stack of 4 LR44s. 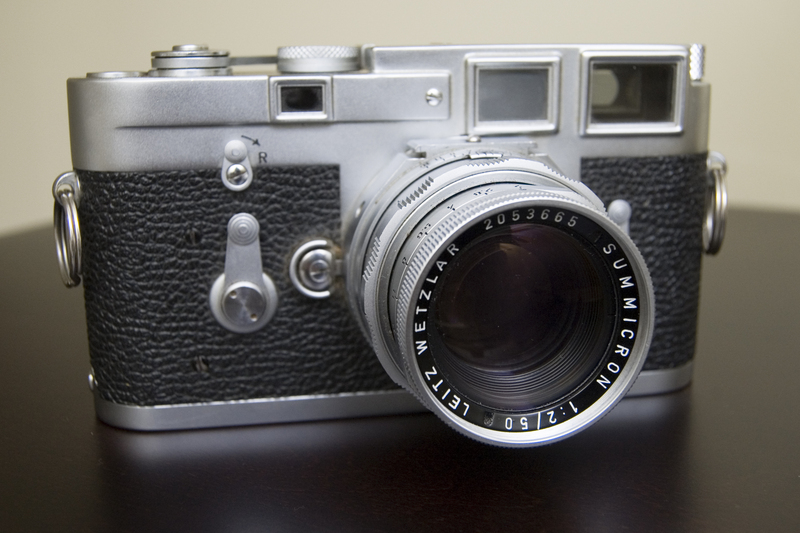 The Leica M6 was not the first Leica rangefinder with a built in meter. That was the M5. Only 1 medium format camera? Just doesn’t seem right. On the majority of the film forums I’m involved with 6×7, 645, 2&1/4 square, 4×5 and 8×10 aficionados not only abound, but dominate. Especially in Europe. Agreed! Sure the Mamiya 7, Mamiya 6, and Pentax 6×7, Zone VI, Linhof, Wehman, Canham,and Deardorff view cameras should have been considered/included! Contax RTSII followed by Contax 137ma…two of the finest rigs I’ve ever owned in almost 50 years. I am astonished as well that the F3 came in at #1! I expected top 10, but not #1. But I’m pleased it did. It’s a great machine. I reach for it a little more than I reach for my F2 because it can do aperture-priority autoexposure. The M6 was not the first Leica with a lightmeter built in. It was the M5. I was using an F3 only yesterday, sublime piece of kit. Leica also still produces Lenses with M-Mounts. But they are much more expensive than the Zeiss ones. The M6 was not the first Leica M with a built-in meter. That was the M5. Anything that can fit a Carl Zeiss planar T* lens. Used several Contax bodies, of various ability, but it’s the colour rendition that is beyond comparison. Not a camera I know, but worth a mention. What about the Alpha Reflex? I tried to guess the top ten and only got the M6, 500, and F3. Some of what I missed was obvious (FM2/F2) but some of what I thought would be here wasn’t (Mamiya 7 and Ricoh GR). Anyway, really enjoyed this article. For me: The Graflex Super D. Or the Rolleiflex 2.8F. Olympus OM-1N all the way. This camera and the Zuiko optics are the sexiest in the business. If you can’t afford the Leica then OM1N is the next best thing. Very surprised that the Mamiya RB67 is not in the top ten. It was and is still the workhorse of pros and anvanced amateur photographers all around the world. 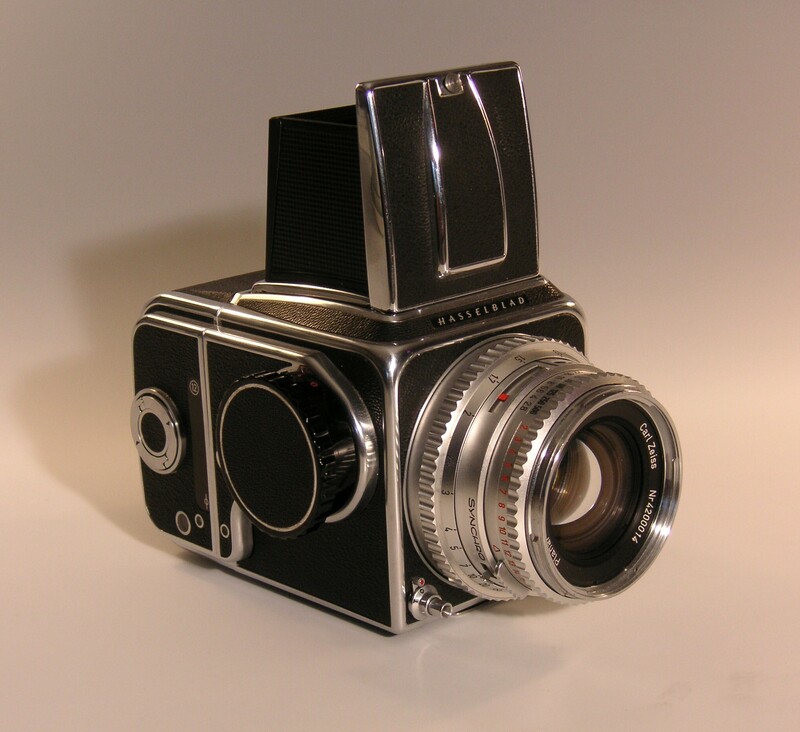 Though a beast in the field it was an ideal studio camera especially when you preferred the rectangular 6×7 format. Extremely well made. Another system camera that could do it all and still is. Great lenses too. The Nikon f3 heavy? Not compared to the Hassy and F2! Also, would much rather have a Canon f1 or f1n than the AE-1! 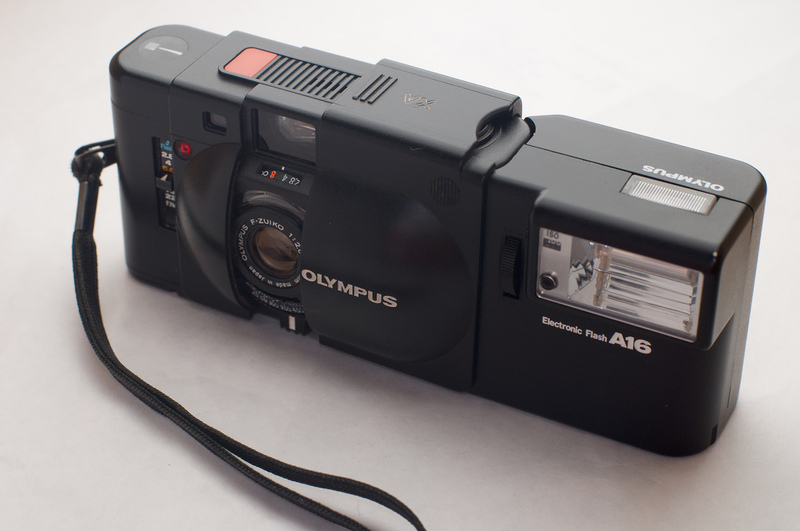 What about the superb Olympus OM4t and OM3 series that still command a premium?